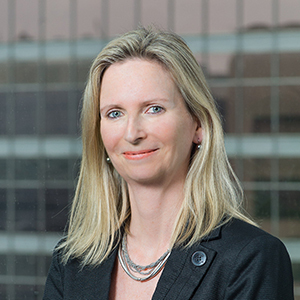 Isabelle Pillet joined the firm in 2001 and has developed a varied expertise in the fields of civil and commercial litigation, maritime and transportation law as well as intellectual property. Isabelle counsels and represents Canadian shipowners in matters such as transportation agreements, charter agreements as well as purchase and sale of ships. She has also acted for clients in cases of ship arrests, mortgages and collision. She also represents freight forwarders as well as road transportation companies. Her litigation practice has led her to plead before administrative tribunals, Quebec provincial courts, the Federal Court and the Federal Court of Appeal as well as the Tax Court of Canada. Furthermore, Isabelle is a trademark agent and counsels her clients in matters such as the registration and protection of trademarks as well as in intellectual property in general.